Avi Katz was with The Jerusalem Report for 20 years. He was fired by the paper after his commentary upon the passage of legislation giving preferential treatment to Jewish Israelis. 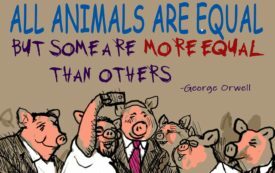 Some animals are created more equal than others.